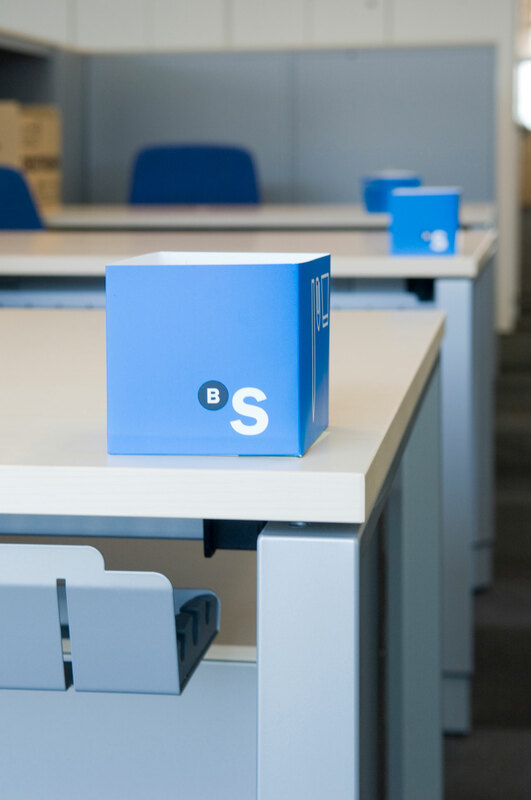 The architects Jaume and Eugeni Bach, from the studio Bach Arquitectes, were responsible for configuring the new central offices of Sabadell Bank, which have obtained the gold qualification: LEED Certification (Leadership in Energy and Environmental Design). 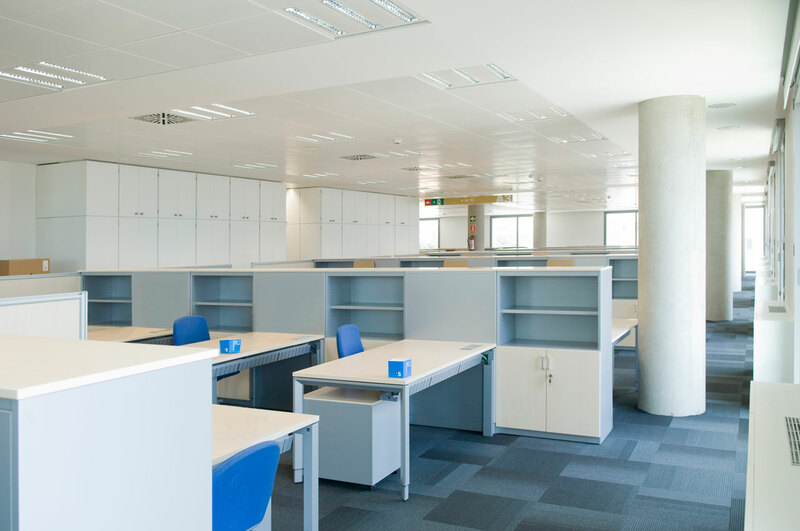 It is a building designed to reduce environmental impact and increase energy savings both during the construction phase as well as in the future of the building. 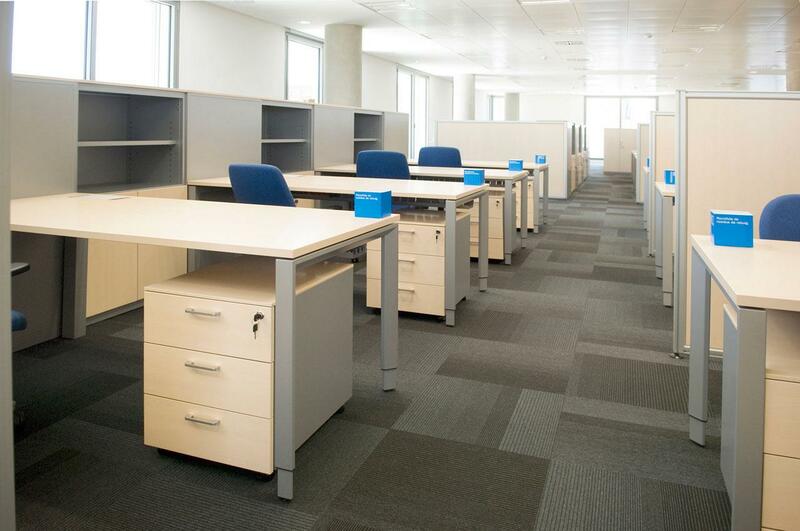 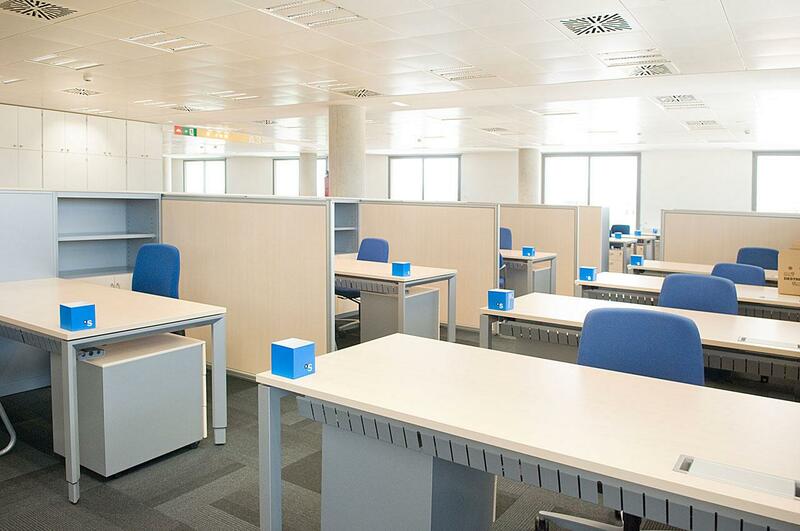 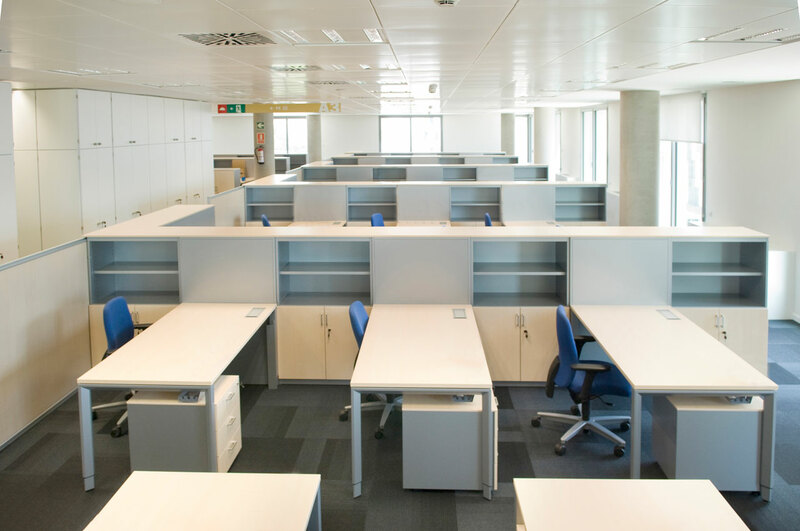 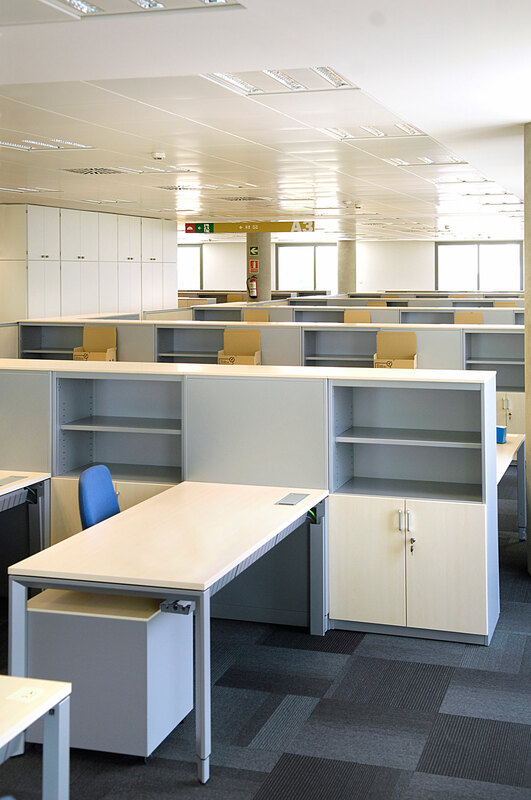 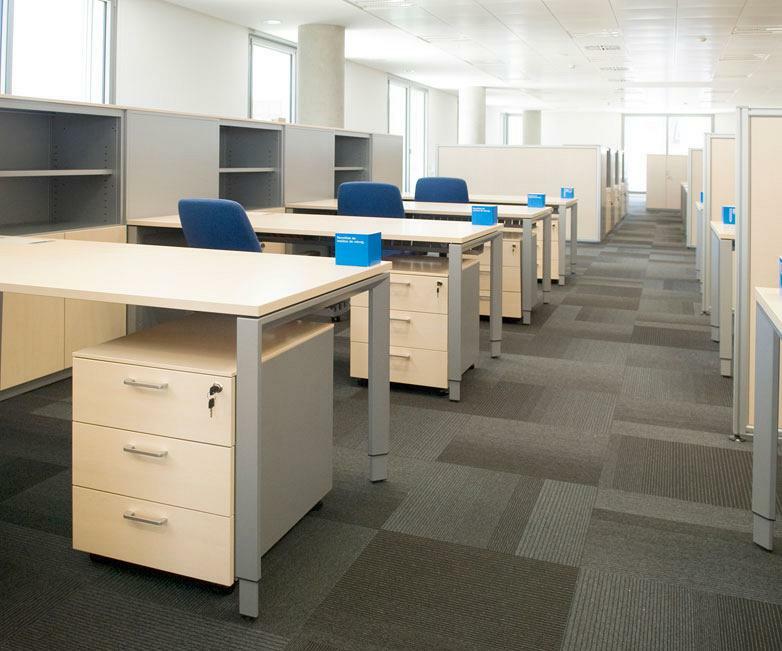 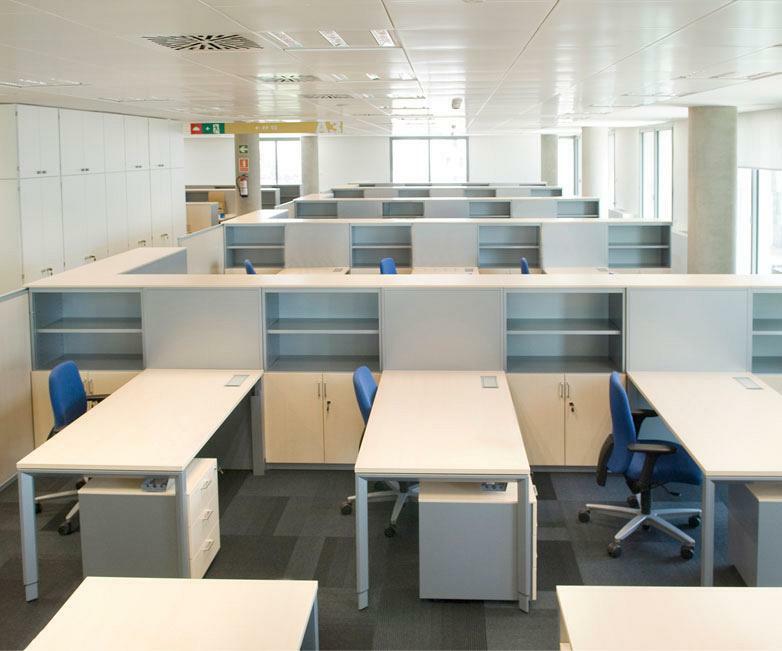 Actiu was company contracted for supplying the office furniture for the new corporative complex of Sabadell Bank. 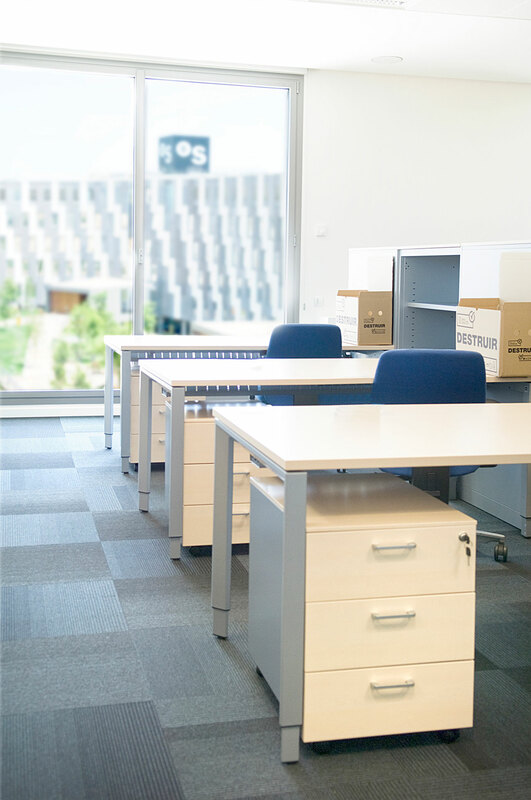 With an investment of 40 million euros, the building has approximately 31.600 m2 of floor space and has six offices floors, a common services floor of more than 7.000 m2 and a car park over two floors. 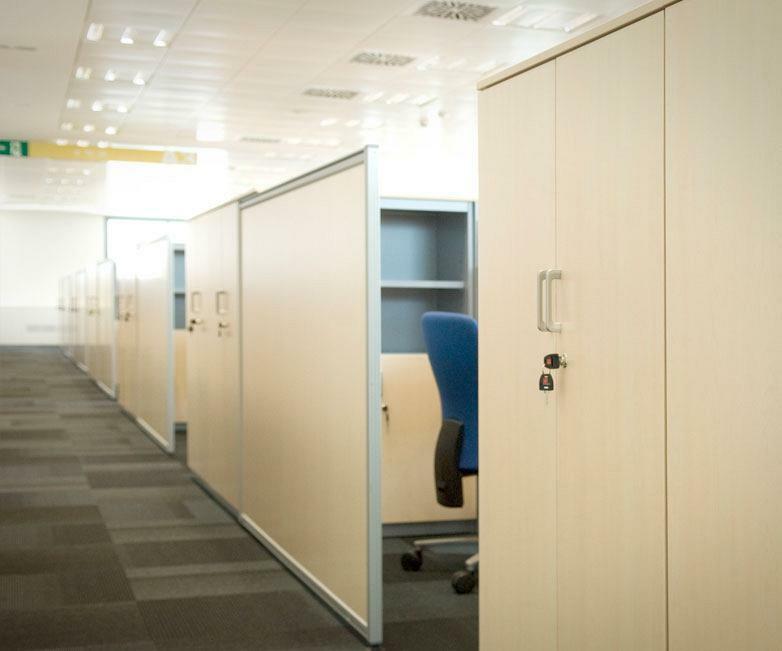 Actiu's proposal was based on its assessment and design of the equipment of the offices, meeting rooms, training rooms and a total of 400 job positions, following its philososphy “open space” and using the “spine” composition for the individual work areas. 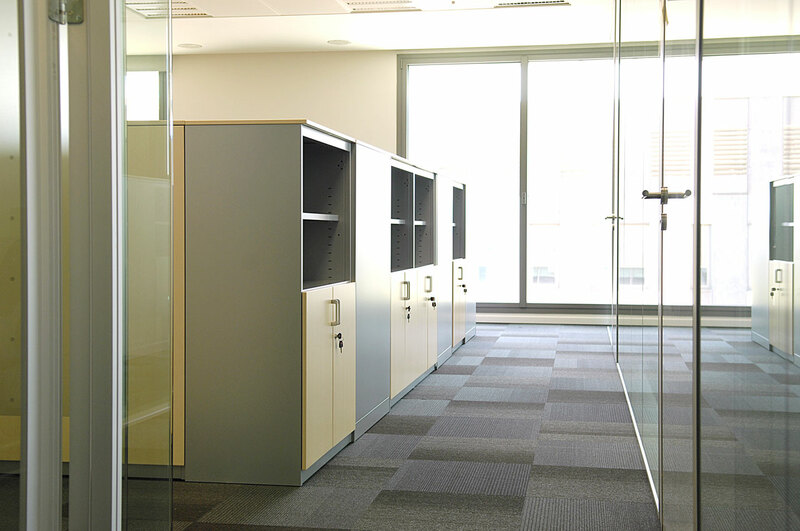 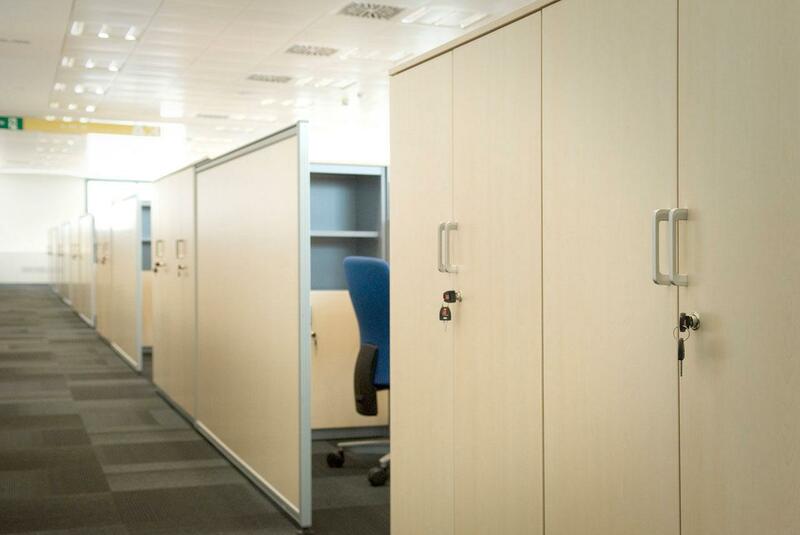 At the request of Sabadell Bank, the workers have been situated taking into account independent spaces, separated visually by Split dividers and metal cabinets at half height, with an objective to maintain privacy, reduce the volume of noise and have a file within reach. In the same environment meeting and training rooms exist, more open and informal, which promote communication and team work. 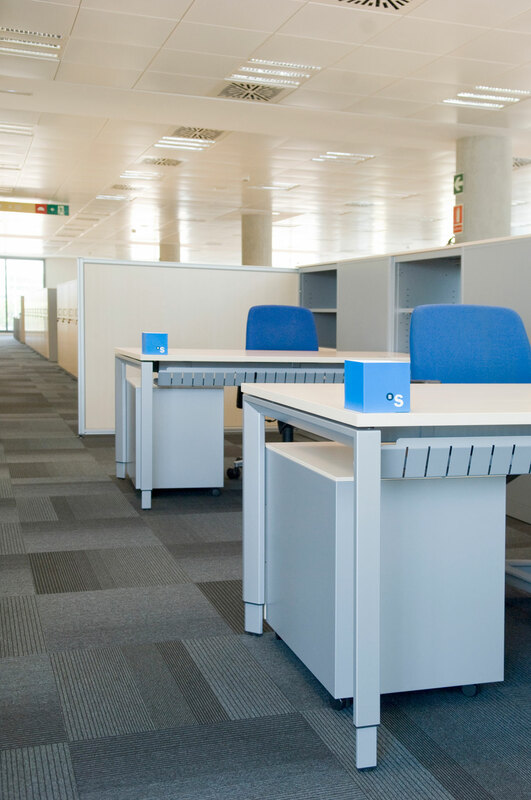 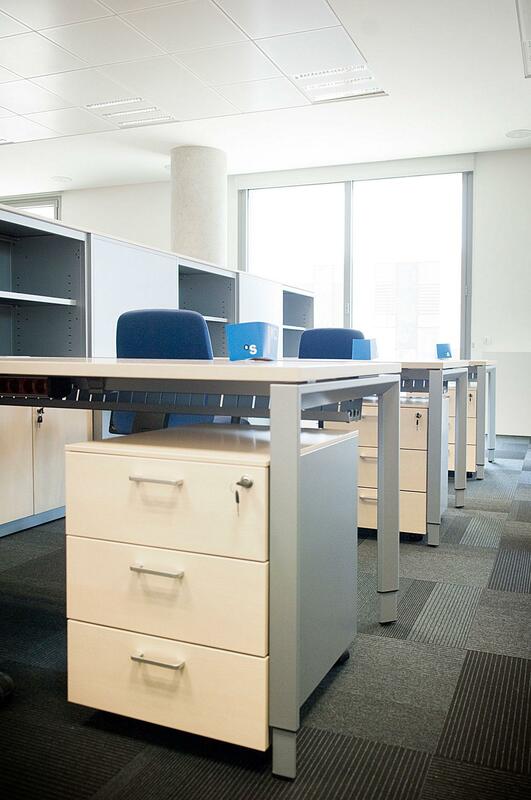 The Trama desk program, with metal structures , castors and folding tops offer multiple options of use, handling and configurations of the room, depending on the requirements at any time. 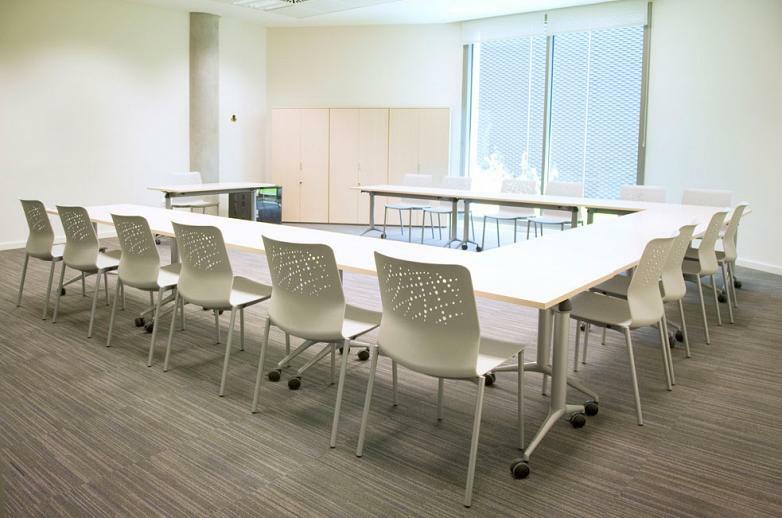 The Urban chair model is present in the more informal rooms of the corporate building. 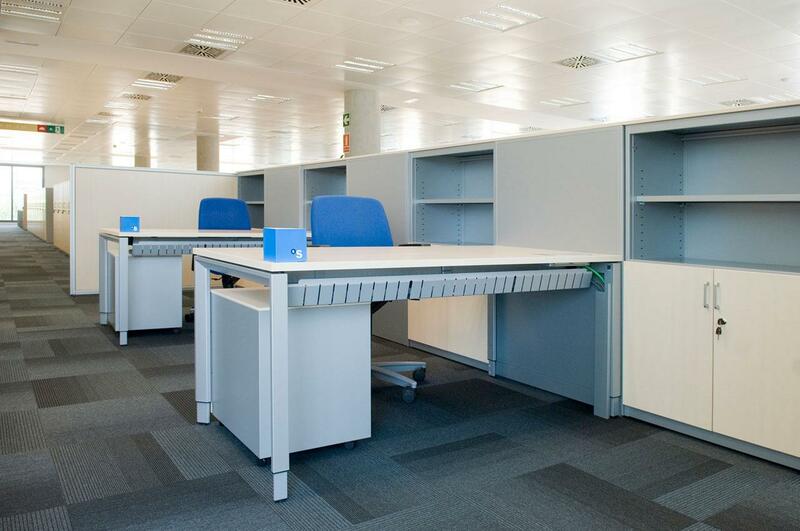 With a conception of universal use, whose main character is its originality and cast iron aluminum structure which provides a multitude of exchanges between the various components such as: legs, cantilever, seats, backs, arms and accessories. 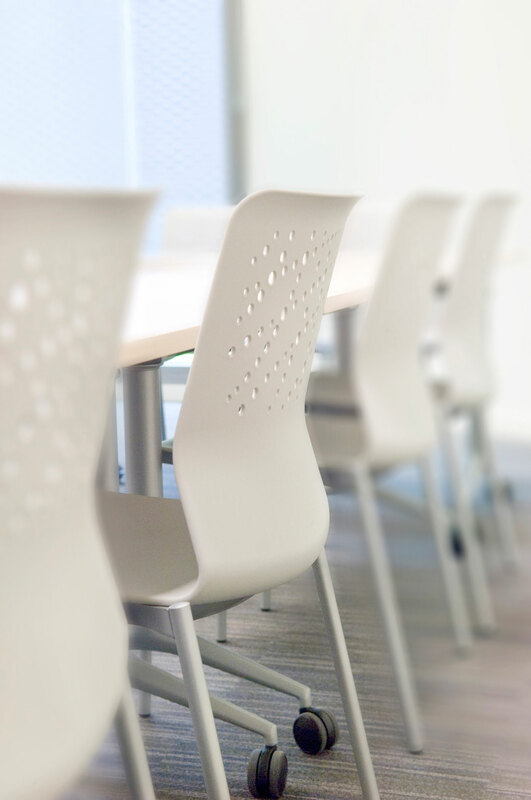 The cosmos is represented on the backrest in the monoblock version. 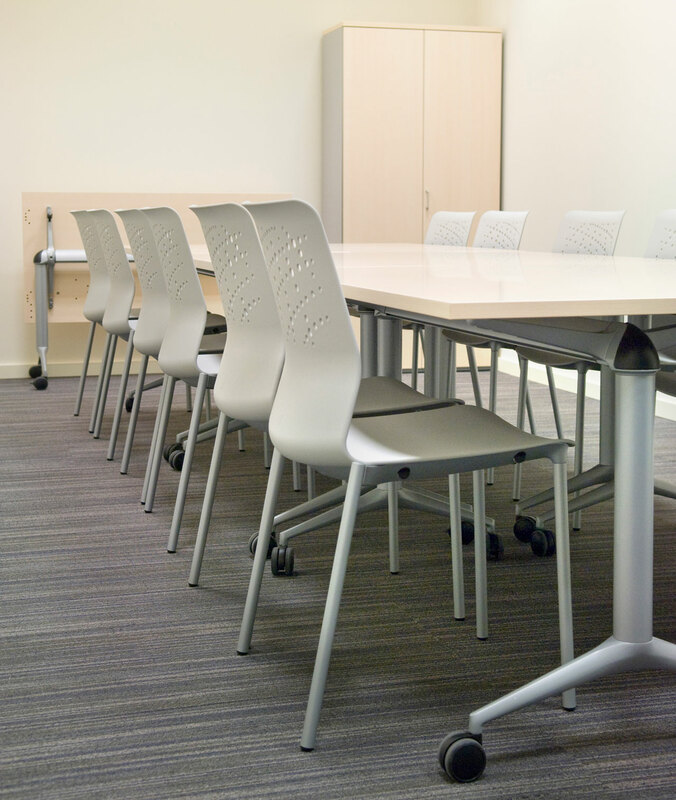 The mixed classrooms offer the possibility to do demonstrations and presentations. 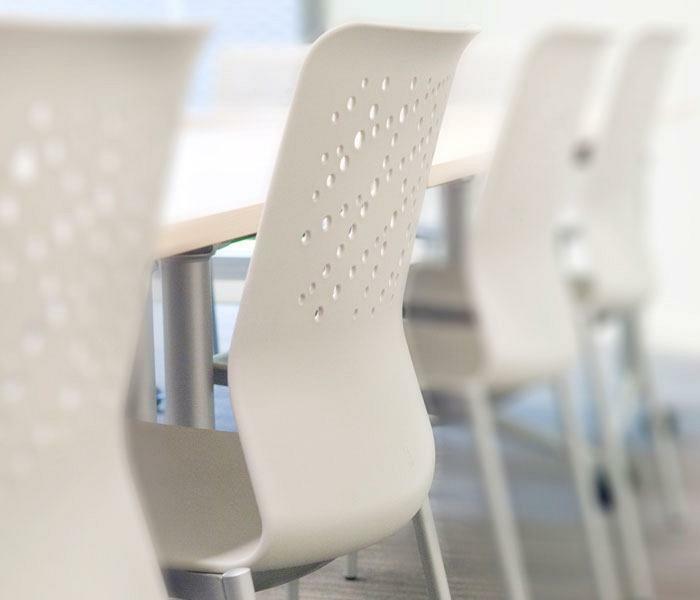 The great adaptability of the Trama folding table with its high dynamic performance and aesthetics, allows to incorporate any element naturally to give solutions to the different environment needs. 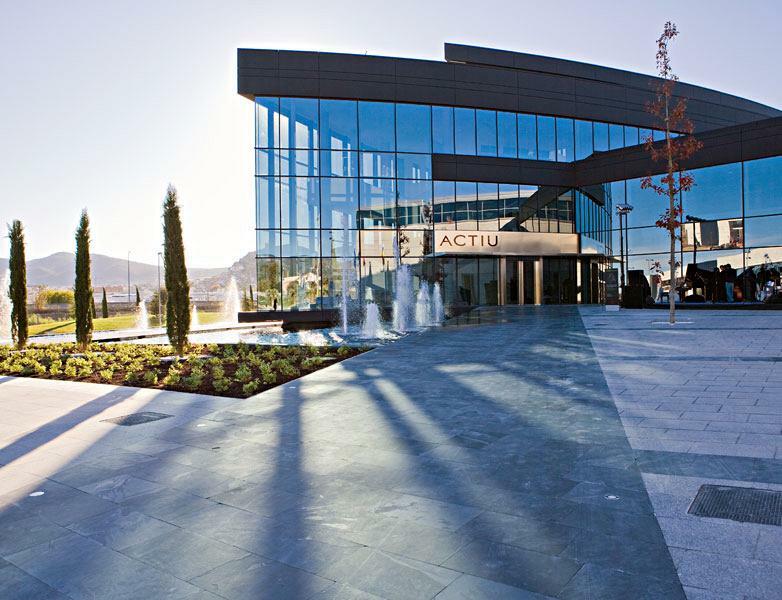 The Actiu Technology Park, in Castalla, was the first European industry in the sector to obtain the LEED® EB Gold certification, in 2011. 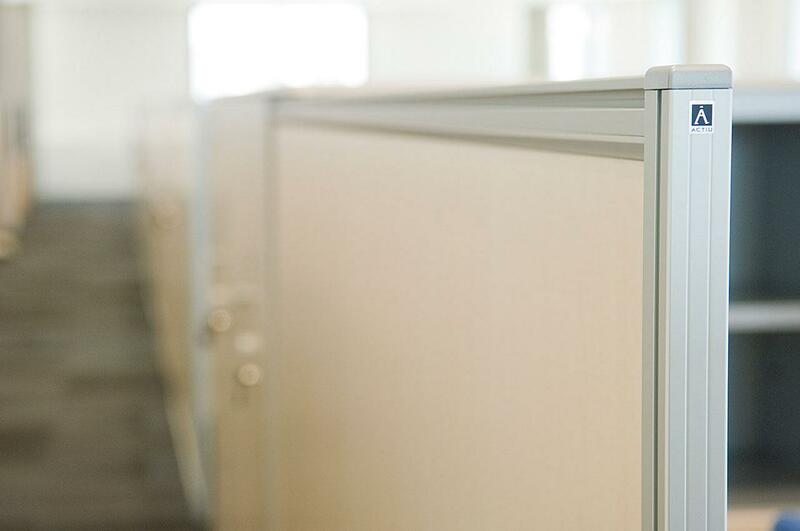 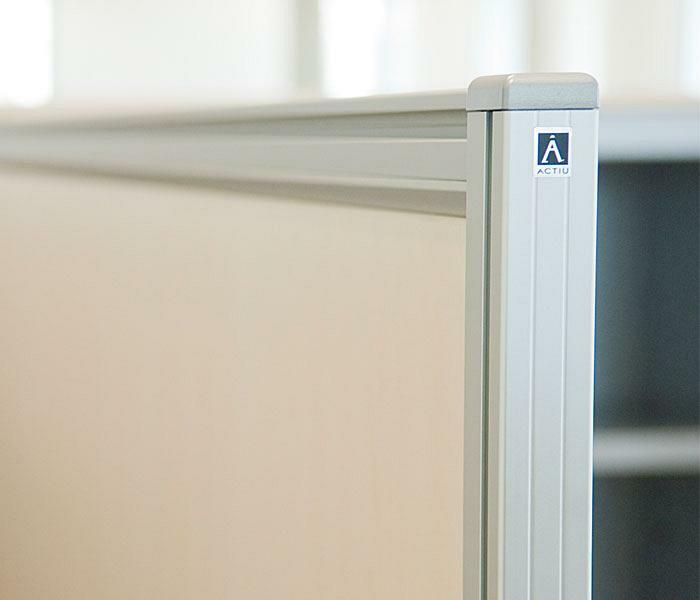 This system of certification not only supports the commitment to the environment and certifies sustainability in the management of its buildings but recognizes these same values in the whole of the production and manufacture process of office furniture. 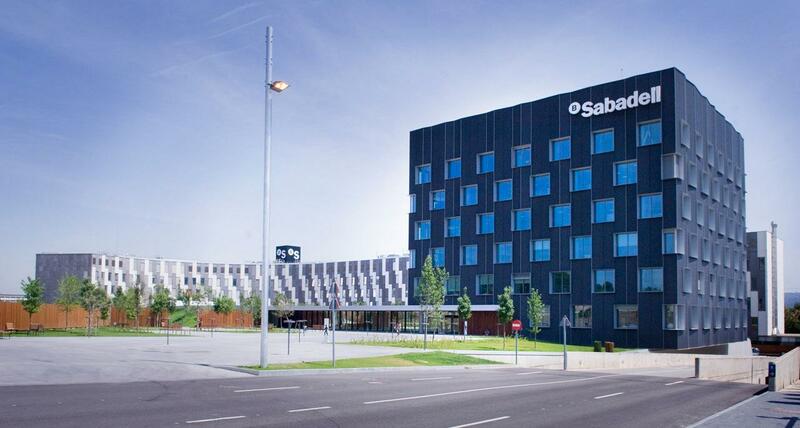 A value, that without doubt, has been taken into account at the time of equipping a building recognised as LEED Gold, such as the headquarters of Sabadell Bank.